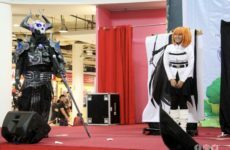 Magic Rain had all the pleasure of attending Animangaki 2016 held at the Sunway Pyramid Convention Center from the 27th– 28th August 2016 as they crossed the 8 year mark of being in the ACG scene. Not a lot of events can say they have survived the scene for this long, so congratulations to their team of organizers! 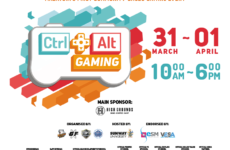 Here’s our take on the event. To be honest, nothing much was bad this time around. We were actively looking for it, but I guess the committee did a pretty good job of mitigating most of it during the event itself. Almost everything organized here was pretty standard, such as the stage performances, guest artists, competitions and workshops. I felt nothing was terribly new, though that necessarily doesn’t mean anything bad. The standard and quality of all the performances were maintained at a certain threshold that was good enough to hold the audience’s attention. The crowd was as enthusiastic as ever, and we didn’t feel too bored between transitions of events. Animangaki definitely had a lot of activities planned out. We found the Gijinka Cosplay competition to be very refreshing as the theme was “Street Food” and there was some very creative cosplays. 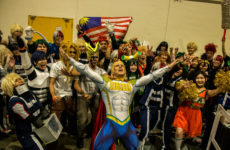 Satay Sauce and Cendol were keywords by the end of the competition as some cosplayers literally dressed up to symbolize those foods. Not to be forgotten were Ice Kacang and Prawn Mee. The TAMusic Concert feat. Akai Ryuusei was pretty awesome too. Harmonia ACG performed a variety of songs with some remarkable ones such as The Song of Ice and Fire from Tsubasa Chronicles. 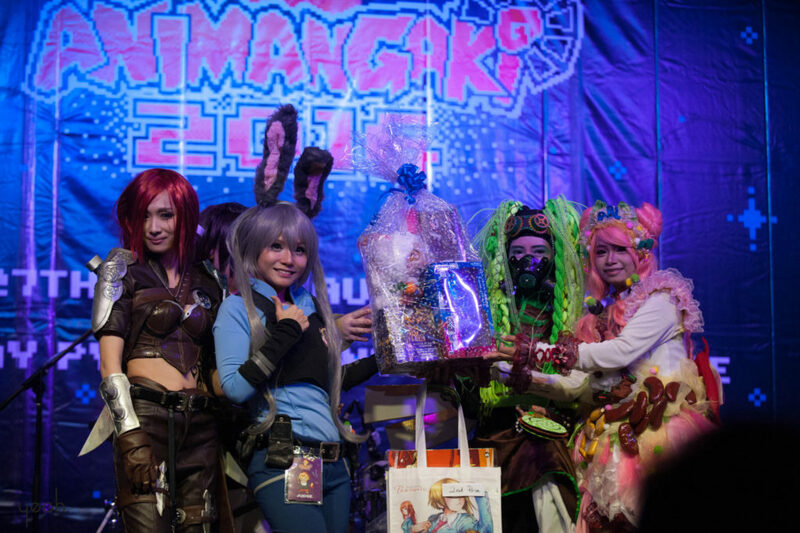 The Cosplay Px was also pretty good, with a few notable engaging cosplay performances by Team Mamak and Team MMCendol. 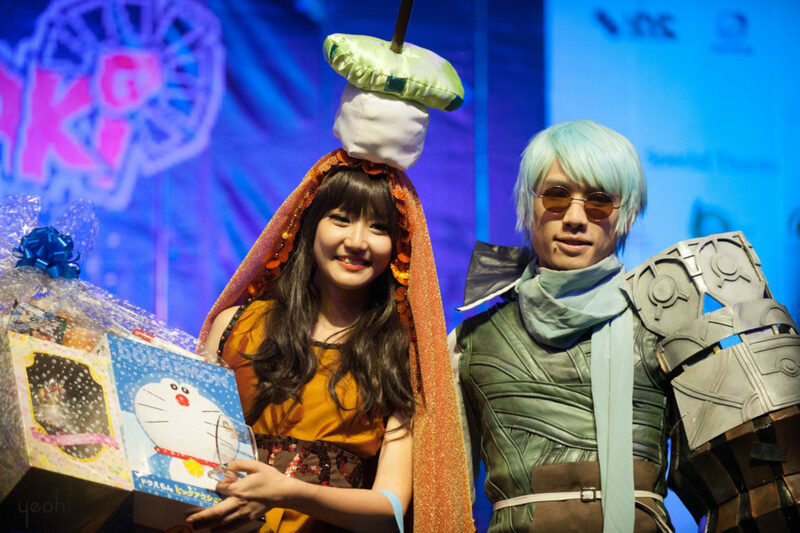 The organizers also invited AmenoKitarou (A.K Wirru) from Australia who has some mad prop-making skills. He cosplayed Ovan from .hack// on Day 1 and Spark with his amazing Zapdos on Day 2. There were many booths as expected for such a huge event. The doujin booths were considerably more spacious compared to last year and they even had a Purikura booth which had many people excitedly giving it a try. The closing of Animangaki featured a super awesome playlist of songs, from Gavan’s theme song, to Sudirman’s Tanggal 31, to the Pokemon theme song and it all ended well. 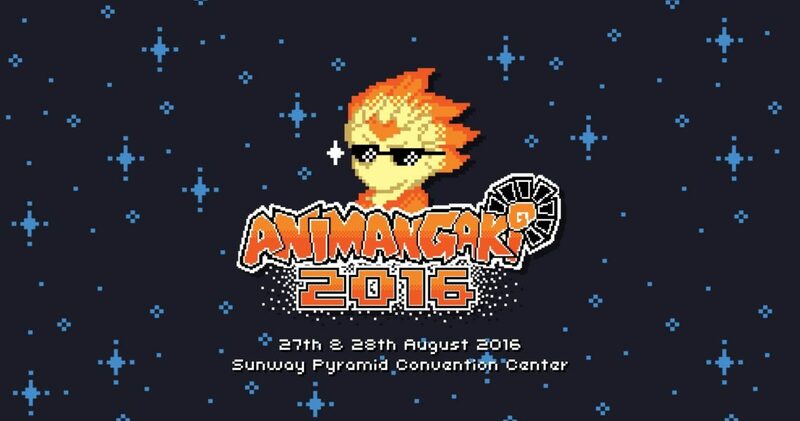 Definitely looking forward to Animangaki 2017!